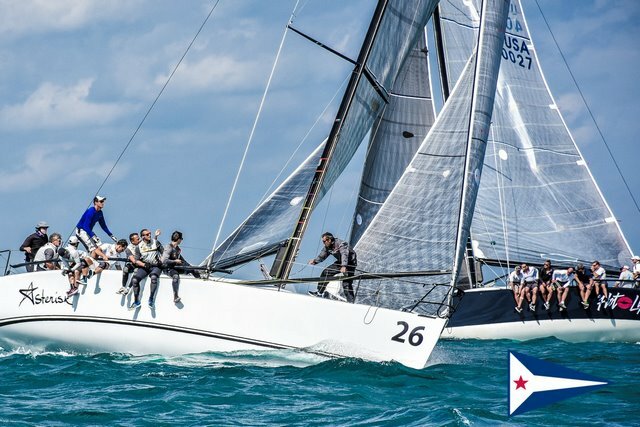 Main trimmer Skip Baxter, headsail trimmer Morgan Trubovich and bowman Greg Gendell are the other pros aboard Plenty, which won the 2016 worlds held off Sydney, Australia and the 2017 worlds contested in Porto Cervo. "We have the same team that has done rather well in recent years. There is great chemistry and cohesion among the crew," Roepers said. "We are confident, yet remain humble. We're keeping our heads down and staying focused on the job at hand." 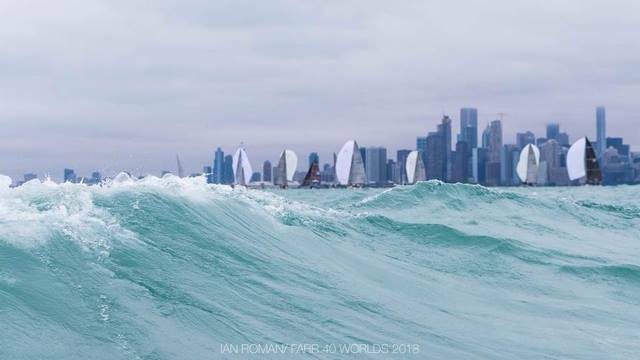 The fleet of 14 boats comes off the starting line in close proximity during the Farr 40 Pre-Worlds, held Wednesday out of the Chicago Yacht Club Belmont Station. 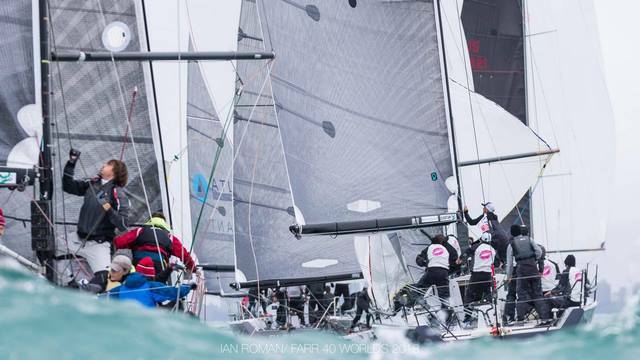 Plenty discovered during the Farr 40 Pre-Worlds just how stiff the competition will be this year. Heavy traffic at a mark rounding left the three-time world champs in last place in Race 2 and it was not easy to fight back and finish sixth. 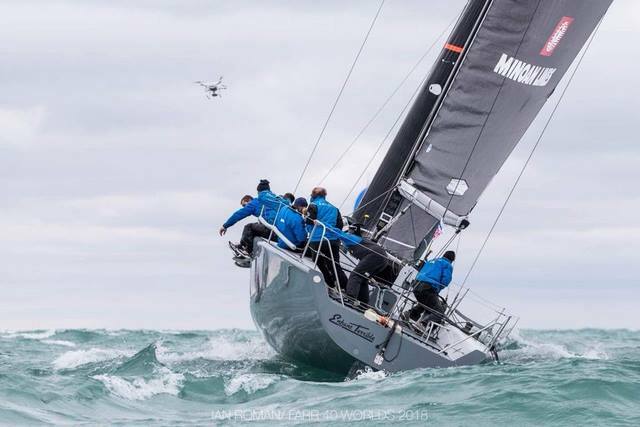 That result coupled with a second in Race 1 left Plenty in third overall as the second scheduled day of racing was cancelled due to high winds and rough seas on Lake Michigan. 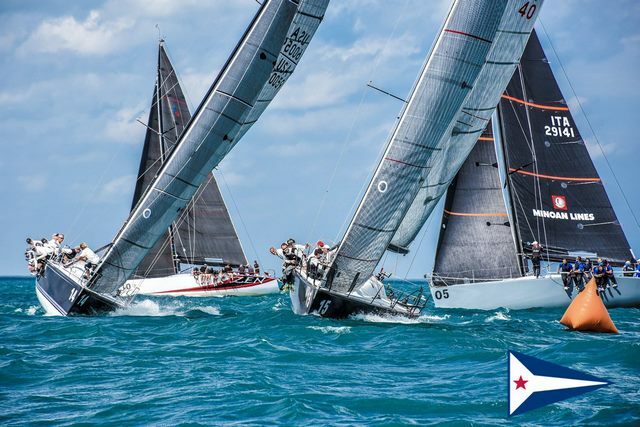 "It is very obvious that many of the owners have really stepped up their programs in terms of sails and crew," Roepers said. 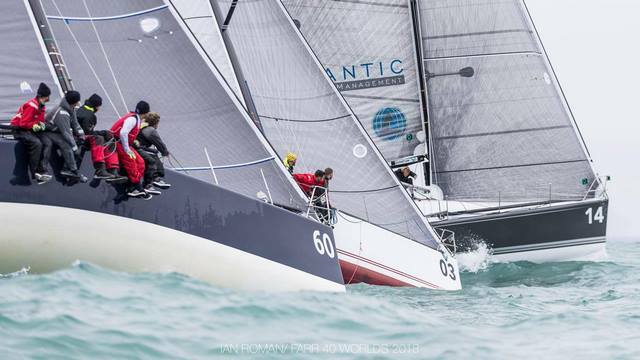 "This is one of the strongest fleets I've seen in all my years of Farr 40 racing. 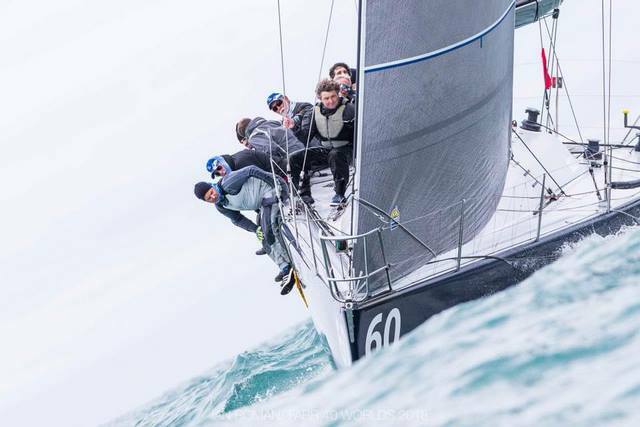 For those who said the Farr 40 class was dying, this is proof to the contrary." 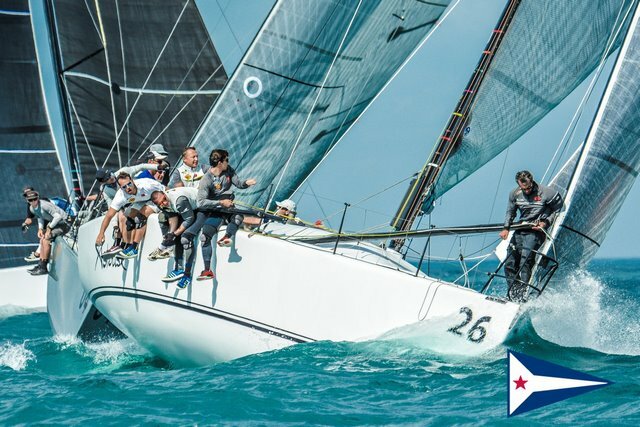 Roepers skippered Plenty to victory when the Farr 40 class participated in the Verve Cup that was hosted by the Chicago Yacht Club in mid-August. 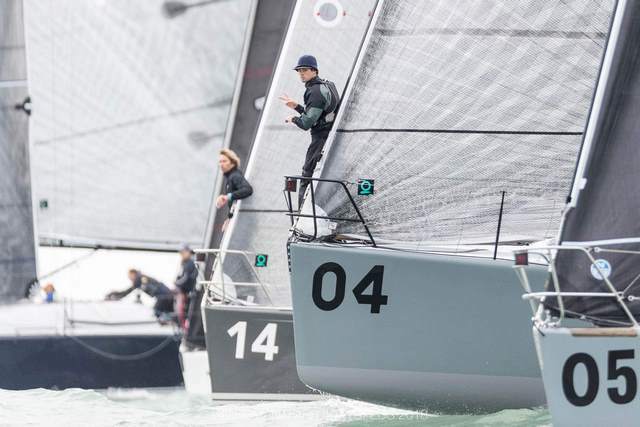 That regatta, which drew 10 boats, was held in light to moderate winds. 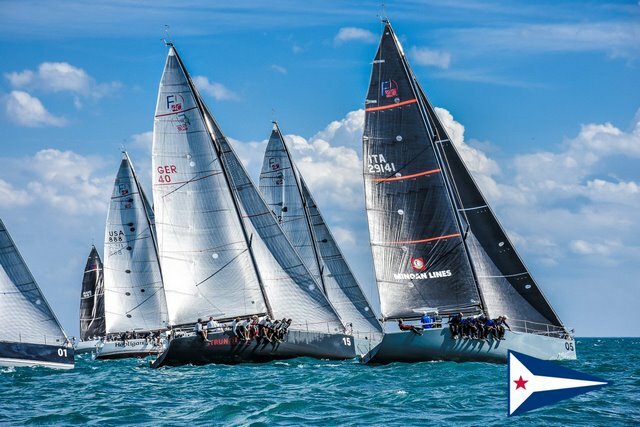 Conditions figure to be a bit tougher when the 2018 Farr 40 World Championship is conducted out of Belmont Station from October 6-9. Early forecasts call for winds ranging from 10 to 20 knots and possibly steep waves at times. "It looks like we'll have very sail-able conditions that should challenge the fleet," Roepers said. "It will be a long, intense regatta and we'll just have to grind it out and hope we're in a good position to win going into the last day." Hutchinson admits he has not sailed out of Chicago too often during his decorated career and was familiarizing himself with what to expect during an October week on Lake Michigan. "It's a really tricky place to sail. Based off what we saw on Wednesday, it is very shifty and those shifts come quickly. You need to be on your toes and hope you're in the right spot," Hutchinson said. "In a north wind you've got 400 miles of fetch across the lake. Pretty much in all the directions except westerly, which is directly off the land) you'll have fairly lumpy seas." 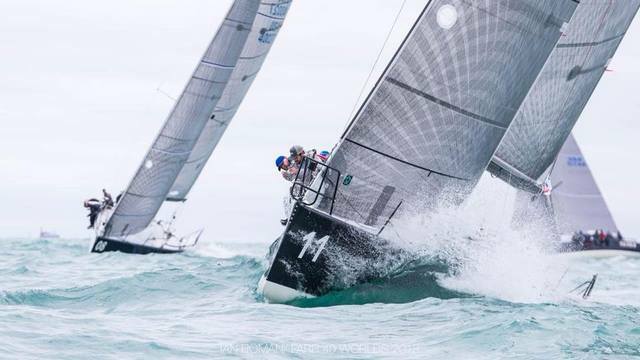 Four boats approach the windward mark during the Farr 40 Pre-Worlds, which were held in strong winds on Lake Michigan on Wednesday and won by Struntje Light. 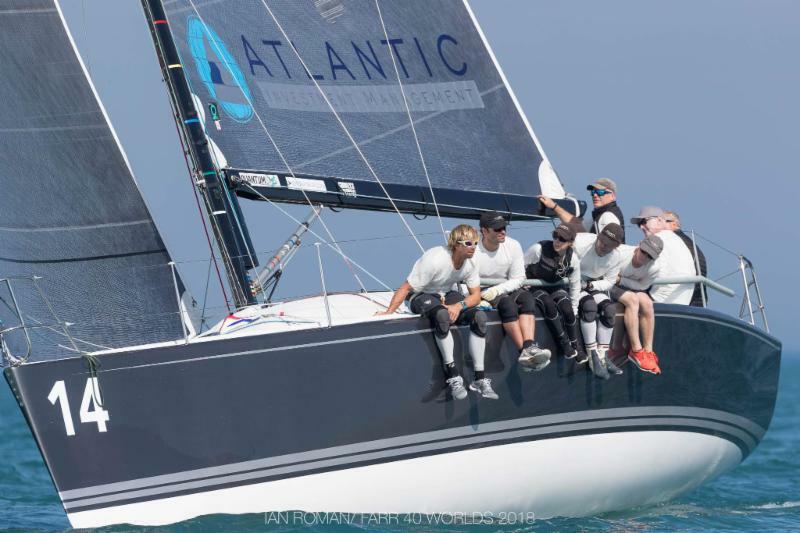 Struntje Light, the German entry skippered by class veteran Wolfgang Schaefer, figured things out the best during the one day of pre-worlds - posting a first and second to come away the winner. 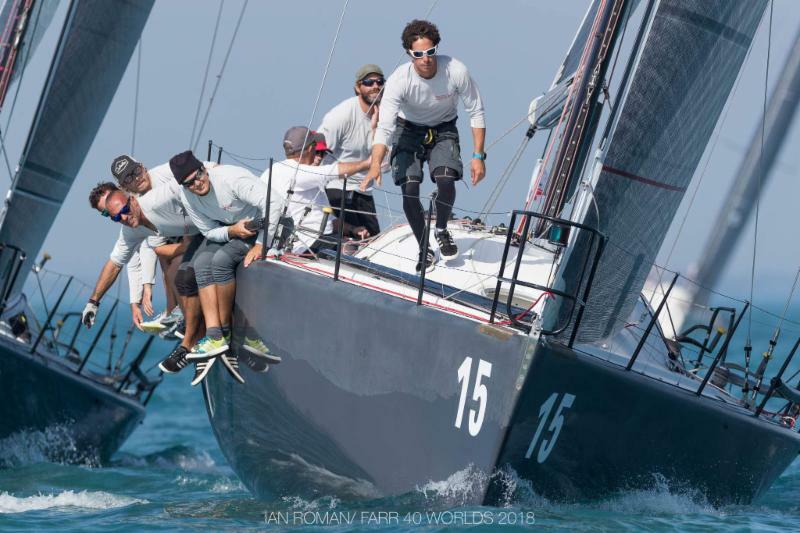 That result was greeted with ambivalence by Schaefer, who has been competing in the Farr 40 class longer than any other skipper at this year's worlds. "Well, the good news is that we won the pre-worlds. Unfortunately, the bad news is that winning the pre-worlds usually means you don't win the worlds," Schaefer said. "That is the rule and it has only been broken a few times." Struntje Light has competed in 15 world championship and placed on the podium many times, most recently taking third in 2015 and 2016. Breaking through to join the elite list of world champs would be a dream come true for the husband-wife team of Wolfgang and Angela Schaefer. "We have been very close in the past, but have been hurt by bad luck or lack of consistency," Wolfgang Schaefer said. "We have a good crew that has been sailing together for a long time. We know from our performance in the pre-worlds that we have a fast boat. However, you need a certain amount of luck to win a world championship in this class." 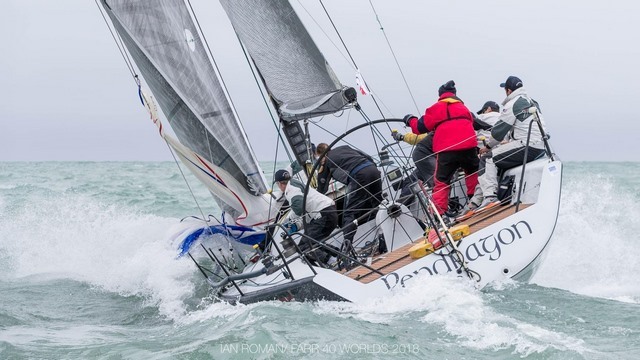 Iain Percy, a two-time Olympic champion for Great Britain, is serving as tactician aboard Struntje Light. Percy, who has Olympic gold medals in the Finn and Star classes, has sailed with Schaefer before. "I have been good friends with Iain Percy for many years. He came back because he enjoys sailing in the class and with our crew," Schaefer said. 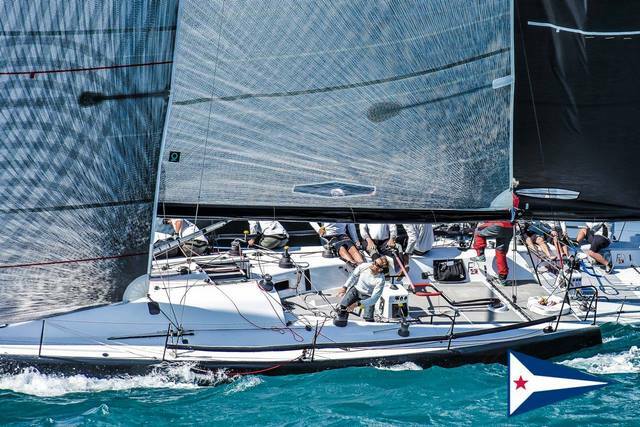 "Having a sailor with the credentials of Ian Percy onboard gives us great confidence going into the regatta." 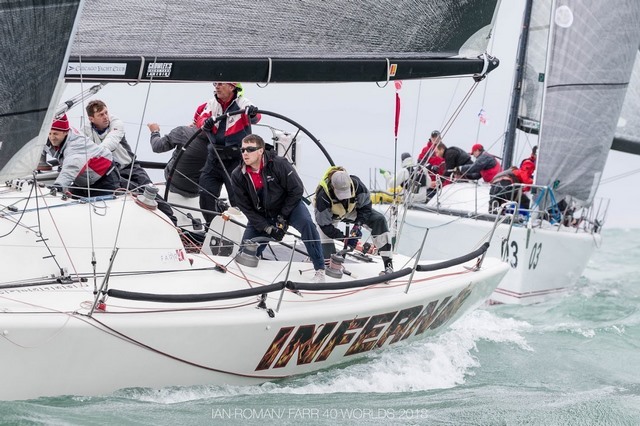 Joining the fray is Enfant Terrible, the Italian boat owned by Alberto Rossi that captured the 2013 world championship. Vasco Vascotto called tactics for Rossi when the 2013 worlds were held off Newport and is back seeking an encore. 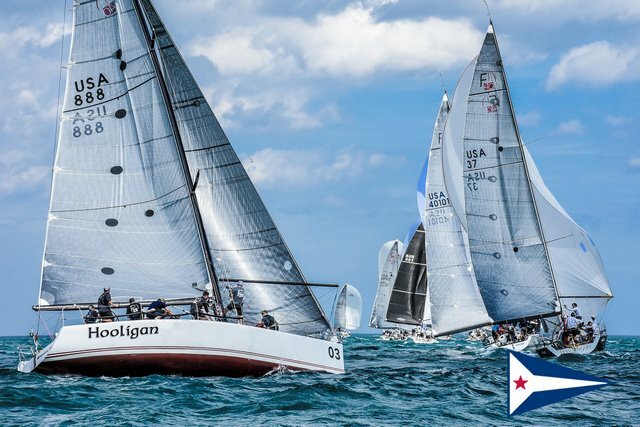 Flash Gordon 6, skippered by longtime Chicago Yacht Club member Helmut Jahn, has the home waters advantage. 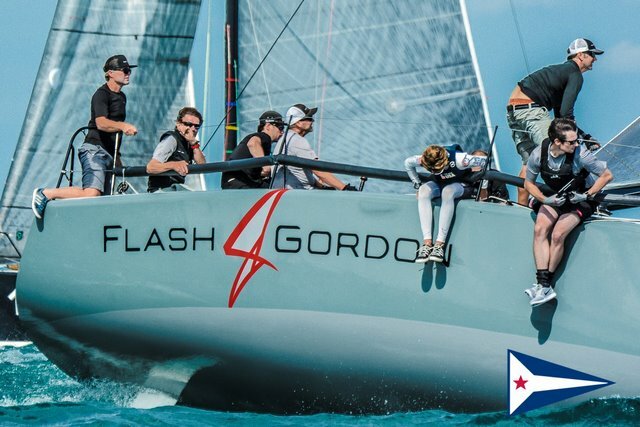 Flash Gordon garnered it is lone Farr 40 World Championship when it was held off Chicago in 2012. Inferno, owned by another Chicago Yacht Club member in Philip Dowd, also knows the venue quite well. 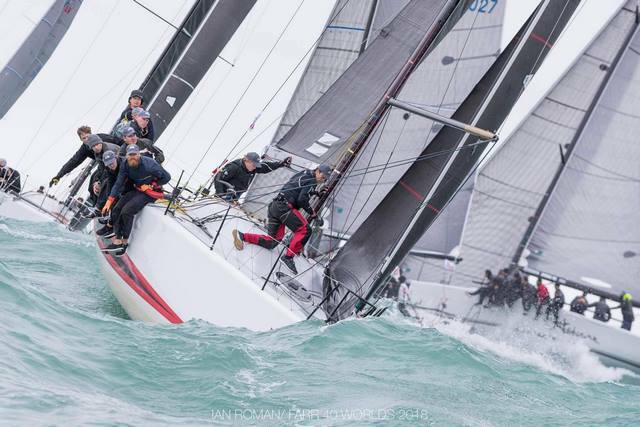 Dowd captured the Corinthian championship when the 2012 worlds were held off the Windy City. Another notable entry is Asterisk Uno of Turkey, which just won the Rolex Swan Cup in Porto Cervo under the leadership of owner-driver Hasip Gencer. "This is an outstanding fleet. 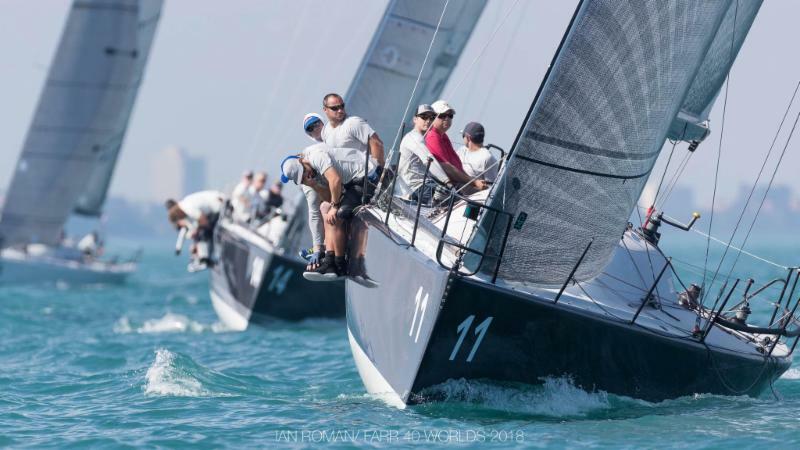 I think the top boats are very, very close," Schaefer said. "We are going to have great competition, which will make it really fun." 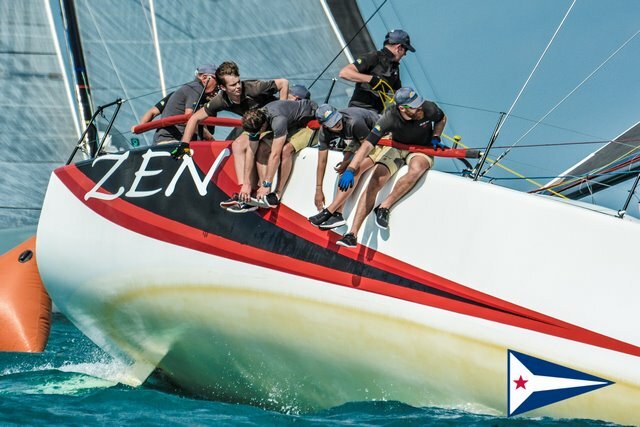 Zen, skippered by Gordon Ketelbey of Sydney, Australia, took top honors among Corinthian boats during the pre-worlds. David Chapman called tactics as Zen finished fourth overall to announce itself as a contender for a podium placement during the world championship. "We've won the Corinthian pre-worlds two years in a row. With 10 Corinthian teams this year, it's the most competitive worlds to be held," Chapman said. "We don't consider ourselves the favorites going into next week, however, we are here to win." Edake, another Australian entry owned by Jeff Carter, was the Corinthian world champion in 2016. Jud Smith is serving as tactician aboard Edake, which will no doubt be a top contender among Corinthian entries and possibly make some noise overall. Last edited by Photoboy; 10-05-2018 at 09:04 AM. The pre-worlds favorite, Wolfgang Schaefer's Struntje light was consistent throughout the day with significant gains on the downwinds. Their only downwind struggle was due to a shredded spinnaker in Race One, but after a quick sail change, they only lost one boat - Plenty. "Unfortunately, the winner of the pre-worlds event never wins the Worlds," noted Pre-Worlds winner, Schaefer. "This has been disproven only two or three times in fifteen years, but I promise you that we are working on it." 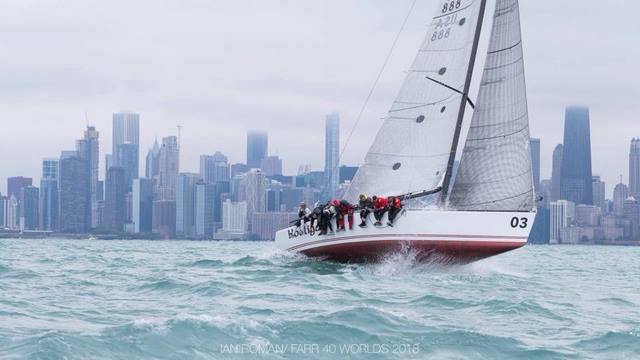 The Farr 40 Class would like to thank its 2018 World Championship sponsors Crowley's Yacht Yard, Quantum Sails and Chicago Yacht Club. Racing continues Sunday, October 7 at noon with similar conditions of 15-20 knots out of the northeast predicted which will be accompanied by 3-5 foot waves. 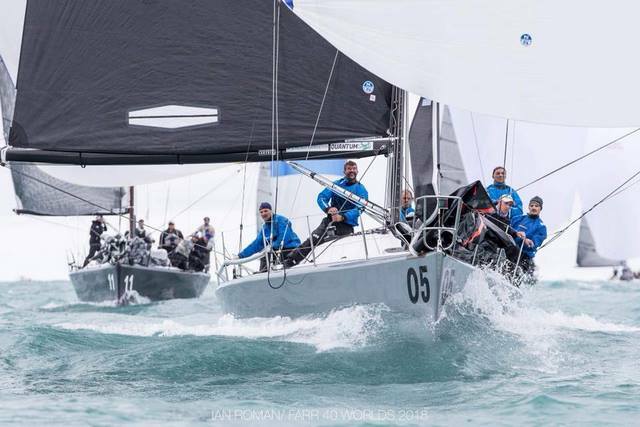 Elsewhere in the fleet, not to be dismayed by their results on Day One, Helmut and Evan Jahn's Flash Gordon 6 recovered again after a shakeup in the second race to redeem themselves with a bullet in the final race of the day. "We did everything wrong in the start of the last race. 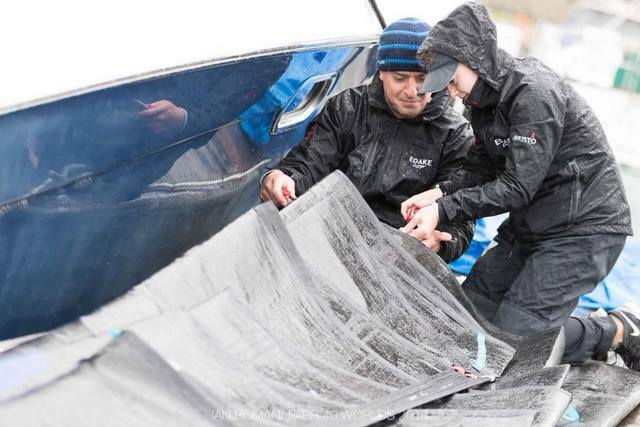 We had to duck the whole fleet and we thought we were dead last," said Helmut. "When we finally turned up to the left again, it looked like we were doing quite well. 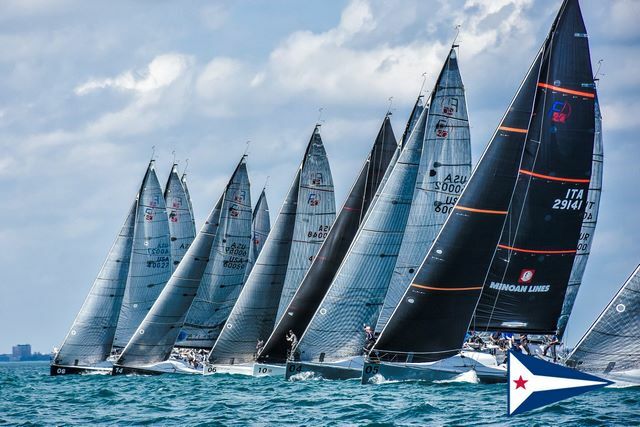 Only Struntje light was ahead of us and we finally got them in the first downwind mark rounding then rounded boat lengths ahead of them on the second upwind." Leading the Corinthian Fleet, Norboy gave Enfant Terrible a run for their money in the first race of the day with a downwind dogfight to the finish. 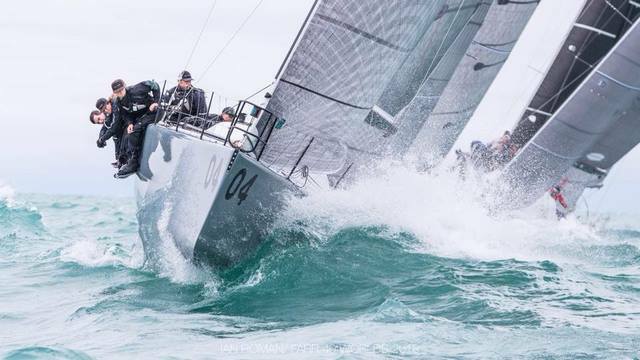 "It was a great moment to be surfing downwind with the leader of the regatta," said owner Marcus Thymian. 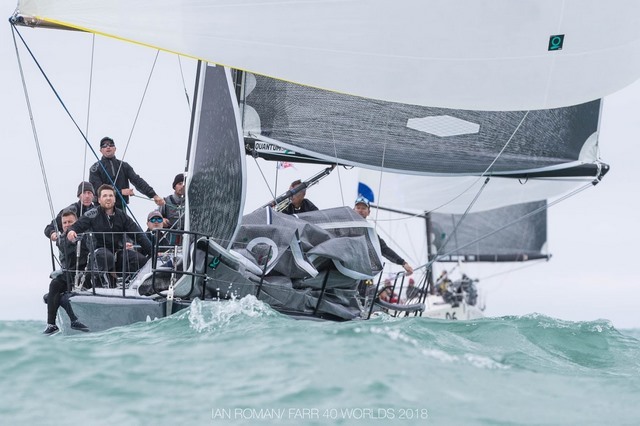 "Between match race tactics and pumping the sails to surf the waves, it all came down to who was able to get their boat going faster." Enfant Terrible narrowly accelerated ahead of Norboy to finish just a half a boat-length ahead of Sigmond and Thymian. Norboy is now watching their back as they stand currently tied with ZEN at 35 points. * "Both Norboy and us didn't have a particularly good day," Ketelbey clarified. "It swings around a bit. It's supposed to be light winds and flat water the next two days. I don't know who it's going to favor, but I hope it favors us. We just have to sail fast and keep out of trouble. There's a long way to go in this event." 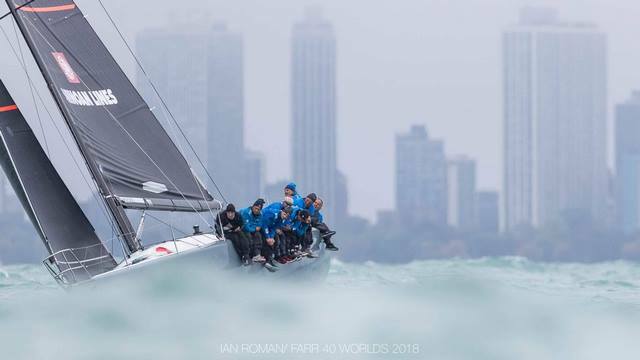 The Farr 40 Class would like to thank its 2018 World Championship sponsors Crowley's Yacht Yard, Quantum Sails and Chicago Yacht Club. 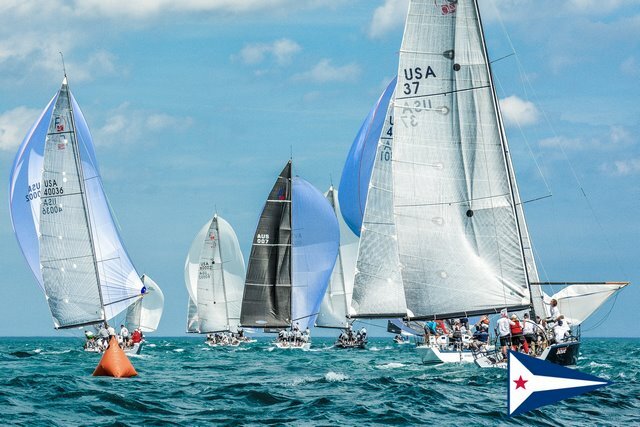 Racing continues Monday, October 8 at 12PM CDT with winds shifting 180 degrees to the south at 10-15 knots accompanied by warmer temperatures and partly cloudy skies. 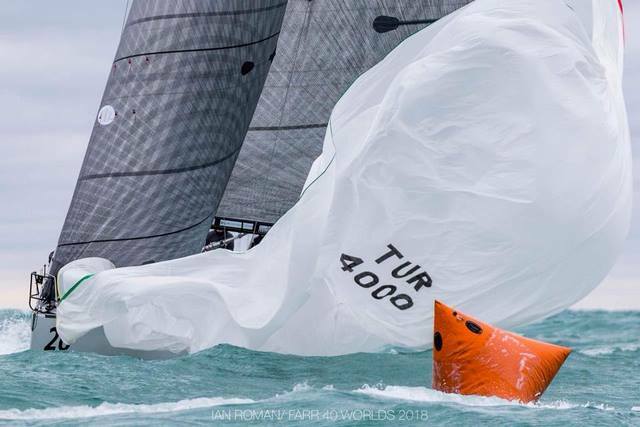 For more information and results from the 2018 Farr 40 World Championship, visit www.farr40worlds.com. Daily photo galleries and videos can be found on the Farr 40 Class Facebook page. *Since press time, Norboy was penalized 2-points in the second race moving them to sixth place. 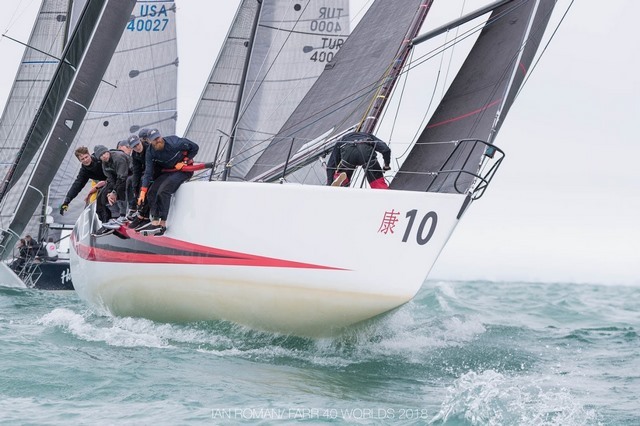 CHICAGO, IL (October 9, 2018): The culmination of the 2018 Farr 40 World Championship served up nail-biting competition, coming down to the final race of the event as Wolfgang Schaefer's Struntje light edged out Alex Roeper's Plenty who finished a critical two boats behind nullifying their two-point lead. 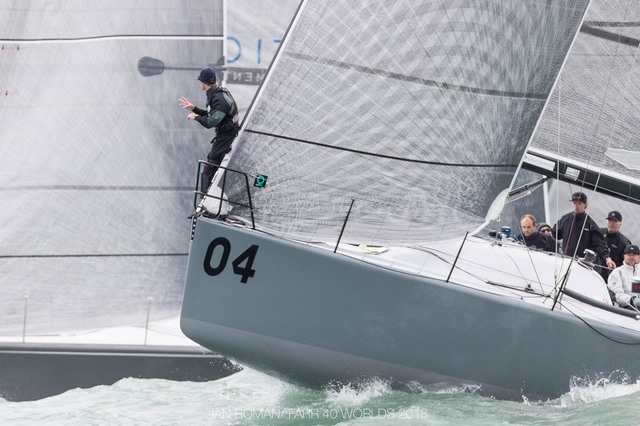 One of the two boats was the Corinthian Champion, Leif Sigmond and Marcus Thymian's Norboy, capping-off a dominant performance over the Corinthian fleet.